For its fourth mixtape Horse Lords untwists the coils of its musical DNA into two tracks that wear the political and aesthetic ideals that have always coursed through their music on their sleeves. Their arrangement of composer Julius Eastman’s “Stay On It” (1973) here finds the band turning the composition’s angelically layered waves of vibes, strings, and brass into a hypnotically propulsive party. As translated by the Baltimore band—Andrew Bernstein (saxophone, percussion), Max Eilbacher (bass, electronics) Owen Gardner (guitar, clavinet), Sam Haberman (drums)—this “Stay On It” connects the ethereal airiness in Eastman’s piece with pulsating dance music, recognizing that minimalism’s empty space can be transposed into the spaciousness carved out by rhythm hitting the body. The music of Eastman, who passed away in 1990, is currently undergoing a much deserved revival, though his politically irreverent, playfully effusive, and unabashedly beautiful music still sounds ahead of its time. 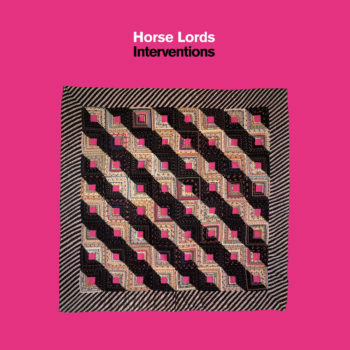 That Horse Lords would turn to him only reinforces the band’s ongoing interest in rewiring rock’s basic instrumental units, rock band as laboratory. For this experiment, guest artist Abdu Ali turns Eastman’s program notes into a spoken-word introduction to the track, establishing the swaggering, joyous mood that follows. 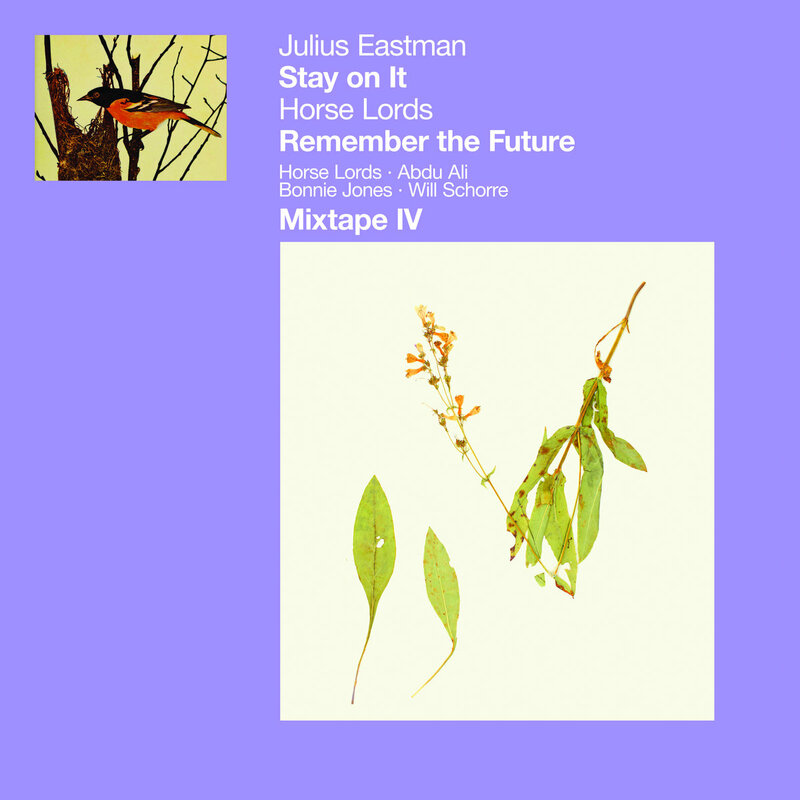 Mixtape IV pairs this gorgeously ebullient Eastman interpretation with “Remember the Future,” a track that takes the band’s latent political leaning and turns them into pithy observation. That’s not only because it’s a sound and voice collage that includes chanting protestors recorded at the Women’s March on Washington on January 21. “Remember the Future” takes a Samuel Beckettian I can’t go on, I’ll go on approach to song storytelling, weaving the voices of a man (Haberman) and a woman’ (sound artist Bonnie Jones) into a twenty-minute excursion that bounces from electronic bubbling to an ambient tapestry and on to a galloping groove. Those two voices speak English. And they say things that make sense as individual sentences. They just don’t make much sense when heard in their entirety, a verbal exchange that becomes content noise—an impish way for an instrumental band to point out that language can be a great way for people, politicians, corporations, and artists, to say nothing much at all.